We have enjoyed especially mild weather here this winter, in fact it felt like a rather early spring in January and February which are usually the coldest months of the season. However in the last week of February we got a surprising cold snap, and it reminded us how harsh the winter usually is, as it cooled down suddenly followed by heavy snow with freezing temperatures. So although meteorologically spring starts in March, thick snow covered New Vraja Dhama on the first day of that spring. In spite of it though we welcomed the sudden change because it meant that finally Govardhana Lal could engage in some winter pastimes, as He got the opportunity to go sledding! Thus on the last weekend of February He sat on His sledge which was pulled by two oxen, and headed towards the goshala followed by all the children on theirs too. After paying a short visit to see the new calves inside, He went outside to see the other cows and oxen then continued on with His sledding expedition. He travelled along the picturesque snowy white routes of Krishna Valley followed not only by the children enthusiastically, but the adults as well where besides having a rousing kirtana, they made time to entertain Govardhana Lal by staging a snow ball fight! The 22nd February was the 19th anniversary of the arrival of Sri Sri Laksmi Nrsimhadeva at New Vraja Dhama, when His Holiness Indradyumna Swami Maharaja brought Their Deity here in 1999. They had been worshipped previously in Jagannath Puri for more than three hundred years, but as the temple was very poor they were unable to provide an elaborate worship for Them, so the pujari left the Deity in the care of Indradyumna Maharaja. 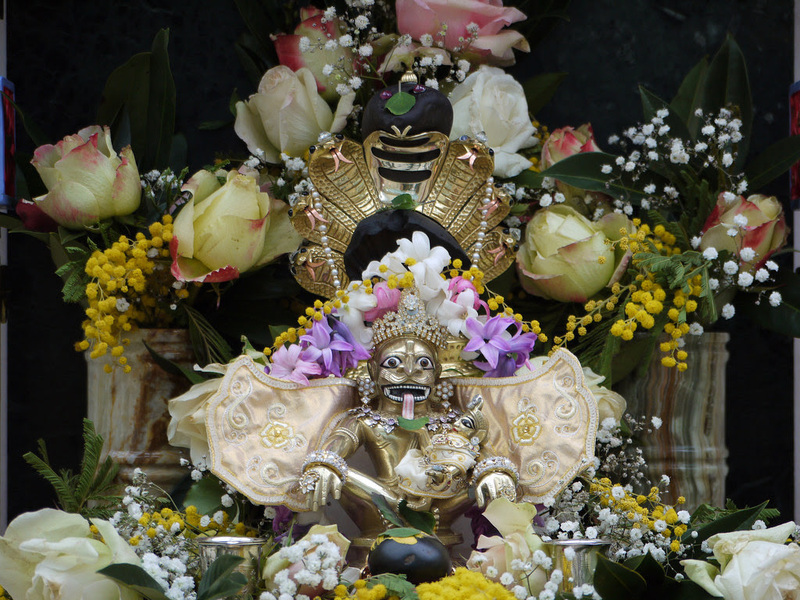 Laksmi Nrsimhadeva began revealing through the dreams of several devotees how They desired to reside in New Vraja Dhama. It is a long story to tell here, but it is nicely described in detail on the pages of the Nava Vraja Mahima books. Since then They kindly and mercifully accept the service and devotion of the local devotees and protect them on the path of their devotional service. This mercy and protection is extended to all of you, who participate in the Nitya-seva project, since it includes sponsoring the worship of Laksmi-Nrsimhadeva too. 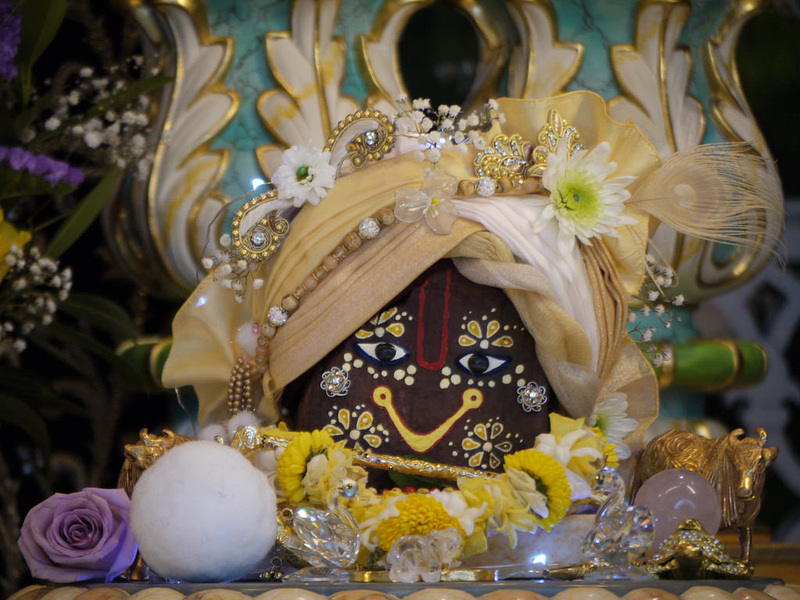 Laksmi-Nrisimhadeva is kindly taking care of us by removing all the obstacles on the path of our devotion from within and without, and we try our best to take care of Him nicely by making sure He receives a rich rajabhoga offering, instead of just cucumbers as He did in Jagannatha Puri. During February Radhe Syama and Gaura Nitai’s Nitya Sevas were sponsored by another two devotee families in instalments which increased the circle of Their donors. Here is a story of one of the families who have been sponsoring the Deities for quite a while now. They are managing a Govinda’s Restaurant in Australia and when they visited Hungary a year and half ago, they bought a muffin-shaped ceramic money box with them, which was being sold in many shops. 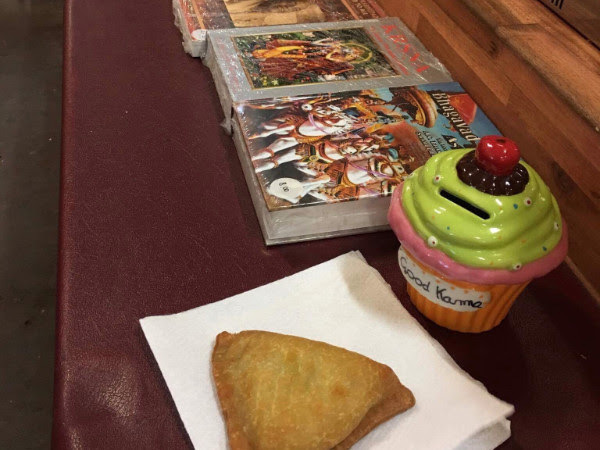 They named it the “good karma box” and put it on the counter in the restaurant so the customers could do some extra devotional service besides taking prasadam and buying books. When the box is emptied they always send the contents of it as a Nitya-seva contribution. This box has become very popular, and there are many customers who put laksmi in because they know it will be sent here for the Deities. The “regular donors” know that it is a very sublime cause and they love to see the darshan photos of our Lordships, so can appreciate that they are not just giving tips, but are part of a special offering. Some parents felt a bit hesitant at first while their children were eager and excited to put money in the box, but now they are depositing their donations with enthusiasm and devotion too and expressing continually how good it feels to give. 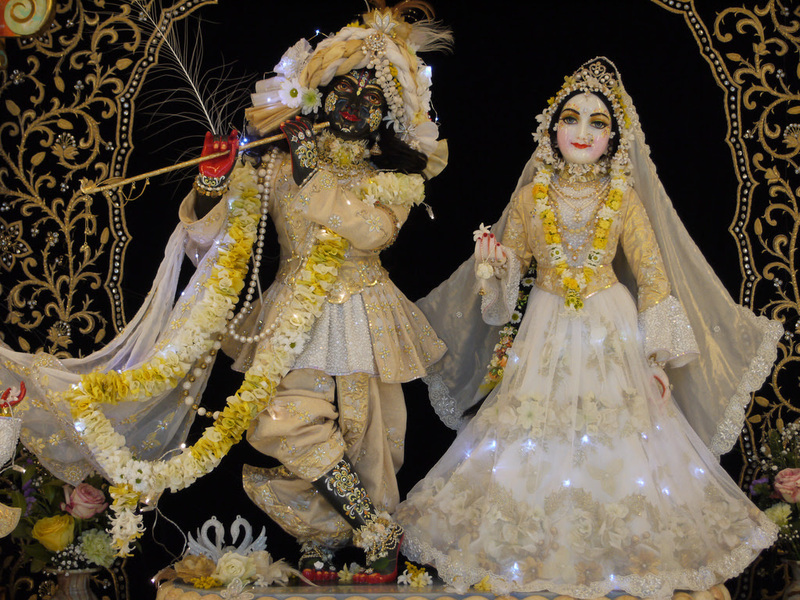 In this way the customers of the Govinda’s Yummies in Cairns raised together almost a thousand dollars in the past 1,5 years for the sponsoring of Radha-Syama and Gaura-Nitai. Such a great idea to offer them the opportunity to be part of this eternal service, by receiving Their Lordships blessings in giving this way. Regarding the Nitya-seva calendar, the first half of the month is pretty full, “only” 5th, 6th, 8th and 9th, 12th,13th and 14th are available. But in the second half of the month there are many dates waiting to be sponsored: except for 23rd, 25th, 28th, 29th and 30th, all other dates are free!